The 2014 Wilson is a competition killer, built to rip with advanced Split-Pivot frame tech and available in ultrafast carbon and aluminum builds. DGR downhiller Steve Smith—familiar with both the bike and the World Cup podium—says, “The Wilson you buy from Devinci is the one I’m riding. It’s the angles I like and exactly how I’m riding it on the international stage. 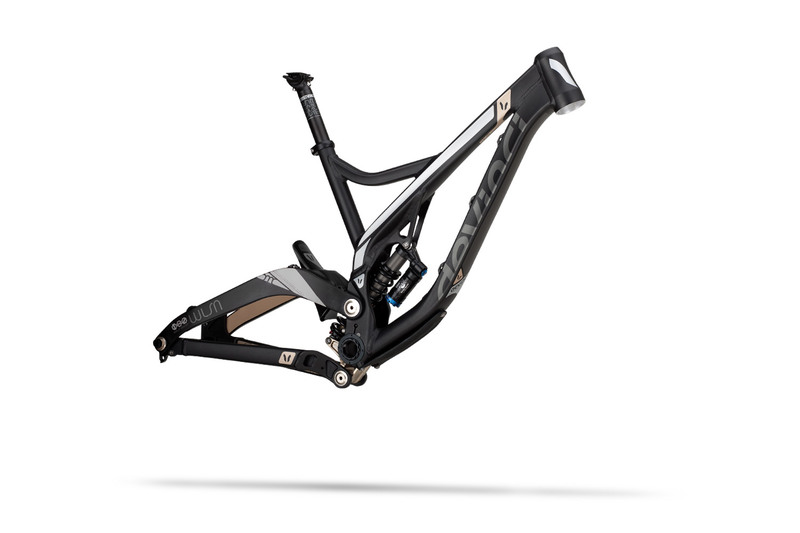 Devinci has built a wicked fast bike.” That wickedness stems from Devinci’s state-of-the-art research and testing platforms, where DH frames are precision tuned for stiffness, hair-trigger acceleration, and deft corning control. Combined with Dave Weagle’s race-winning Split Pivot suspension, the Wilson is as at home on the circuit as it is savoring bike park shuttles, launching massive air, and annihilating single-track like a boss. The 2014 Wilson. Hit the gas and hang on for hypersonic. This frame has an ingenious system of dual swing arm position, allowing in few seconds to pass a "rolling" geometry typical All Mountain in a more committed geometry typical Enduro acting, among other things, angles and fork seat tube (see photos). That is why we indicate two dimensions (angles) in our geometry array.